On the official TYPO3 web site we publish - for years already- video tutorials for editors in different versions of TYPO3 in English and German. Thereby we provide for each TYPO3 version with long term support, i.e. which are always updated for c. three years, at least one compact video, which might be supplemented by other videos with further information. 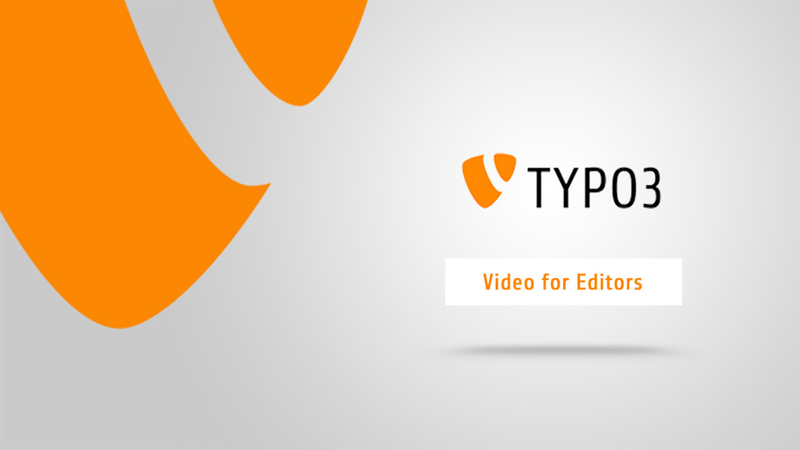 These videos, that should make working with TYPO3 in the respective version easy for you, we also want to provide here. For the current TYPO3 version 8 LTS we have produced two tutorial videos: one quick introduction video, explaining basics like creating and editing pages and contents, and one video showing new and further features interesting for editors in TYPO3 8, like creating and including forms. Besides that, we still provide videos for the current TYPO3 7 LTS as well as for older versions like the videos for TYPO3 6.2 LTS or the series of video tutorials we have produced for editors with step-by-step instructions, which is still very popular among TYPO3 users. While watching the videos, you can practice or test TYPO3 on one of our test web sites we have set-up adequately. J'ai travaillé avec plusieurs CMS mais Typo3 est une merveille. Il mérite une bonne place dans le monde nord-américain des CMS. I am an average user of Dreamweaver CS4 in the USA, and its very exciting for me to see what the Euro web designers are using. Best Regards and Looking to Learn More about Typo-3. simply fantastic this new approach to make us learn typo3 quickly and easily. If you have any ideas for improvement, we appreciate a short comment to the videos. But we are happy about a little praise as well, if you like the videos.